The Media Engagement Statistics item has been added to the Internet (Google Chrome) section. A new item is added to the Internet (Mozilla Firefox) section: Stored Favicons. A new item is added to the Internet (Google Chrome) section: Stored Favicons. A new application is added to the Application Traces section: Foxit PhantomPDF. A new item is added to the Get Office tab in the Application Traces: Cookies. A new item is added to the Get Started, News, and Photos tabs in the Application Traces: Cached Certification Files. 4 new items are added to the User's section: Recent Applications, Crash Dumps, CDP Activity Log, and CDP Notifications History. A new item is added to the Built-in Accounts section: Local Service's Common Language Runtime Logs. 2 new items are added to the iTunes tab in the Application Traces section: Cache Files and Cookies. 4 new items are added to the Sports tab in the Application Traces section: Cached Certification Files, Cached Images, Cookies, Token Broker Cache. A new item File Explorer Jump List is added to the User section. A new item Site Engagement Statistics is added to the Internet (Google Chrome) section. Four new items are added to the System section: Delivery Optimization Service Events Logs, Network Setup Service Events Logs, Server-initiated Healing Events Logs, and Windows Update Events Logs. A new item Update Orchestrator Events Logs is added to the Program Data section. Seven new applications are added to the Application Traces section: Spotify, SumatraPDF, CyberLink AudioDirector, Greenshot, Kodi, PowerISO, Wondershare Video Converter Ultimate. 2 new items are added to the Internet (Mozilla Firefox) section: Stored Installation Timestamps and Stored Session Information. A new item is added to the Internet (Skype) section: Stored Media Documents Information. 2 new items are added to the user's traces section: SmartScreen File Information and Security Token Service Cache. 2 new applications are added to the Application Traces: TeamViewer and FastStone Image Viewer. Two new tabs are added to the System section: WDI Diagnostic Logs and WDI Startup Logs. New applications are added to the Application Traces: Twitter, VSO Downloader, Phone, Phone Companion, Windows Feedback, Candy Crush Soda Saga, Contact Support , Plex Media Server, CyberLink ColorDirector, CyberLink PhotoDirector, CyberLink LabelPrint, CyberLink MediaEspresso, CyberLink MediaShow. In the Application Traces section, the following items are added: The Messaging tab: Cached Web Files. The Microsoft Solitaire Collection tab: Cookies. The Weather tab: Cached Web Files, Cookies, Cached Certification Files, Token Broker Cache The Xbox tab: CLR Usage Logs, Logs, Token Broker Cache. The Money tab: Cached Certification Files, Token Broker Cache. A new item is added to the System Registry Traces tab in the user's section: File Explorer's Typed Paths. A new tab is added into the Built-in Accounts section: Peer Networking Traces. New applications are added to Application Traces: McAfee, 3D Builder, Accounts, Cloud, Experience Host, Content Delivery Manager, Cortana3, Get Started, Messaging, Microsoft Office Hub, Microsoft Solitaire Collection, Sway. A new item Search Log Files is added to the Indexing Traces tab in the Program Data section. A new item Hyper-V Components Setup Log Files is added to the Setup Logs tab in the System section. 2 new items Component-Based Servicing Log Files and Get Windows 10 Log Files is added to the Auxiliary Temporary Files tab in the System section. The following items are added to the Internet (Skype) tab: Business Intelligence Statistics, Emoticons Cache, Internal Database, Media Transfer Cache, Stored Emoticons Information, Stored File Transfer Information, Stored Media Transfer Information. A new item Update Logs is added to the Microsoft OneDrive tab in the Application Traces section. The Typed URLs item is added to the Internet (Microsoft Edge) section. Three new items are added to the System section: Component-Based Servicing Log, Deployment Image Service and Management Log, Startup File Renaming Log. Four new items are added to the Setup Logs tab: Delta Package Expander Setup Log Files, Driver Package Installer Logs, Local Security Authority Setup Log Files, Setup Cleanup Task Log Files. The Swap file can be wiped and cleaned for Metro/Universal applications. Full support for Windows 10 and Microsoft Edge browser. 2 new items are added to the Internet (Google Chrome) section: Web Applications File System's Files and Google Cloud Messaging Traces. 7 new items are added to the Program Data section: Windows Defender Activity Logs, Windows Defender Detection Logs, Windows Defender Network Inspection Service Log, Windows Defender Scan Results, Windows Defender Quick Scan Results, Windows Defender Scan Logs, Windows Defender WPP Files. iCloud is added to the Application Traces section. Support is added for the Microsoft Edge web browser (Windows 10). The following items can be cleaned: Cache Files, Cookies, Application Cache, Cached Certification Files, Cached DOM Files, Internal Databases, Stored Favicons, Stored Recovery Information, Stored Web Notes, Stored Webpage Tiles, Temporary Files, Cache Database. New tabs are added to the Internet (Mozilla Firefox) section: Indexed Databases, Stored HSTS Cookies, Stored Timestamps, Telemetry Reports. The Mozilla Update Logs tab is added to the Program Data section. A new item Stored Information about Removable Drives is added to the System Registry Traces in the System section. The Auxiliary Traces item is added to the Internet (Mozilla Firefox) section. Support for the Multiple Users mode is added to the Internet (Google Chrome) section. New applications are added to the Application Traces: Articulate Engage, Articulate Quizmaker, Articulate Replay, Articulate Storyline, BlueStacks, DxO FilmPack, DxO OpticsPro, DxO ViewPoint, GnuCash, Viber. New items are added to the Internet (Google Chrome) section: Current Session Commands, Current Tabs Commands, Last Session Commands, Last Tabs Commands. A new item is added to the Internet (Mozilla Firefox) section: Predicting Data. The following items are added to Activity Traces of several applications: GIMP: Font Cache, Thunderbird: Cache Files and Update Logs. New items are added to the Internet (Google Chrome) section: Address Bar History, Auxiliary Traces, DNS Prefetching Data, Most Visited Sites Data, Prerendering Data, Quota Manager Data, Search History, Sync Data, TLS Certificates. The Stored Applications Compatibility Settings item is added to the User section. New items are added to the Internet (Google Chrome) section: Application Cache, Cached Jump Lists Icons, Extensions Databases, Extensions State, Flash Player Cache, GPU Cache, Media Cache, Rollback Journals, Search Engines Data, Session Databases, Web Databases. New items are added to the Internet (Mozilla Firefox) section: Cached Jump Lists Icons, Crash Minidump Files, Crash Reports, DOM Storage, FHR Performance Measures, Stored PDF View Parameters, Stored Web Page Thumbnails, Update Logs. New items are added to the Built-in Account section: Local Service's Cached Certification Files, Local Service's Temporary Files, Local System's Cached Certification Files, Local System's Common Language Runtime Logs, Network Service's Cached Certification Files, Network Service's Diagnostics Logs, Network Service's Temporary Files, Local System's Temporary Files. New items are added to the Program Data section: Reliability Monitoring Traces, App Repository (only Windows 8), Digital Rights Management Traces, Software Quality Monitoring Traces. A new item is added to the System section: SRU Monitoring Traces. New items are added to the User's section: Notifications Cache (only Windows 8), Sync Traces (only Windows 8), Windows Update Log. A new item is added to the Internet (Mozilla Firefox) section: Stored SSL Permissions * A new item is added to the user's section: Common Language Runtime Logs. New Metro applications are added to the Application Traces: Windows Communications Applications (all traces from Calendar, Mail and People), Food and Drink, Games, Health and Fitness, Music, and Video. New items are added to the System section: Stored Scheduled Tasks, Stored Information of Removed Scan Button Image Acquisition Applications, and Stored Firewall Rules. New items are added to the Program Data section: Windows Search Indexing Files, and Windows Search Stream Log Files. New sections for cleaning are added: Stored Wireless Networks Profiles and Built-in Accounts. New applications are added to Application Traces: Windows Reader, Finance, Maps, News, Photos, SkyDrive, Sports, Store, Travel, Weather. Trace cleaning from Skype includes the Chat History, Call History, Stored Chat Properties, Received Files, Sent Files, Sent SMS Messages, and Unauthorized Contacts tabs, and others. Scheduler and Boss key also support Skype. System cleaning: Stored Add or Remove Programs, Stored Program Identifiers, Stored COM Class Identifiers, Stored File Types, Cached File Extensions, Problem Reports, Stored Locations of Removed Image Acquisition Applications, Stored Locations of Shared Modules, Stored Services Information, Indexing Service Catalogs, and much more. 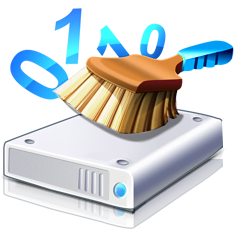 User's traces cleaning: Stored Environment Variables, Stored File Types, Stored Program Identifiers, Stored Sound Schemes, System Registry Traces, Problem Reports, and much more. Full support for Mozilla Firefox 4.0. Improved cleaning for Cookies, History, Stored Text in Forms, Stored Passwords, Downloads. Cleaning traces from Internet Explorer: Browser Extensions Using Statistics, Advanced Searchbar Search History, LinkedIn Toolbar Traces (with the Search History and Cache Files tabs), MySpace Toolbar Traces (with the Cached Images and Logs tabs), Cached Files, Baidu Toolbar Traces (with the Search History and Cached Files tabs), AltaVista Toolbar Search History, Excite Speedbar Traces (with the Search History and Cache Files tabs), Ask Toolbar Search History, and Silverlight Traces (with the Recent Websites, Data Files, and Cached Files tabs), and much more. Existing files can be re-written in Startup Renaming Manager. The third column Overwrite an existing Folder/File is added to the file list, and the Paths dialog box now has the Overwrite an existing Folder/File option. Improved application handling in the Application Traces section. Cleaning traces from Windows Live Messenger. Such event is added to the Scheduler. Cleaning traces from AOL Instant Messenger. Such event is added to the Scheduler and Boss Key.